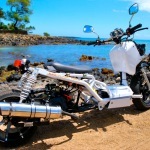 We are Hawaii’s EXCLUSIVE Pit Bull Dealer! 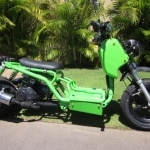 Looking for a unique ride with a custom look? 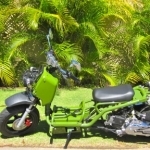 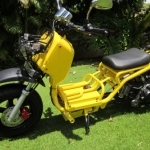 Our Pit Bull Moped is the choice for you! 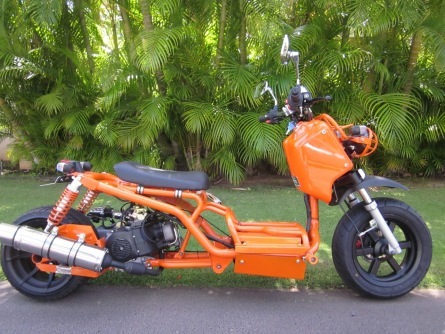 Maui Scooter Shack is Hawaii’s EXCLUSIVE Pit Bull Dealer. 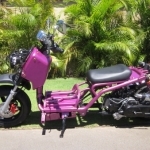 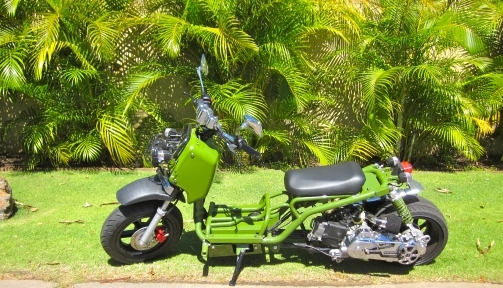 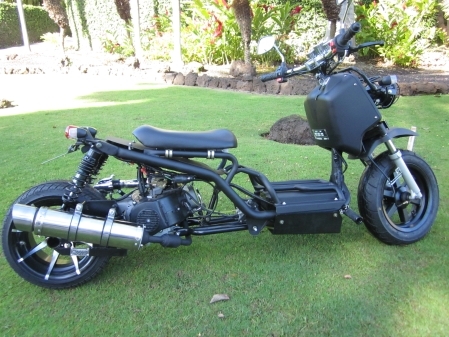 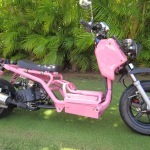 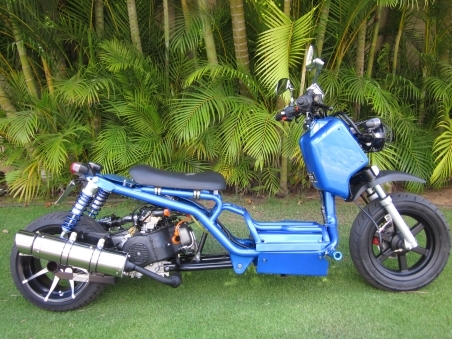 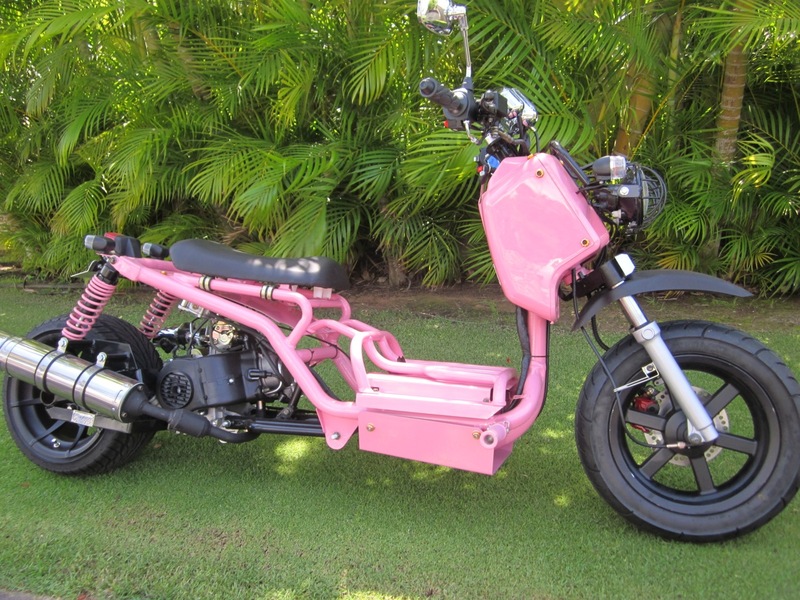 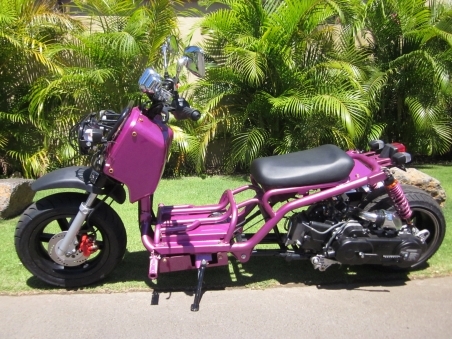 The Pit Bull is exclusively made for the Hawaii laws and regulations as a 49cc Moped. 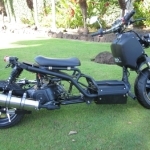 DO NOT ORDER from mainland dealers they are not legally allowed to ship to Hawaii. 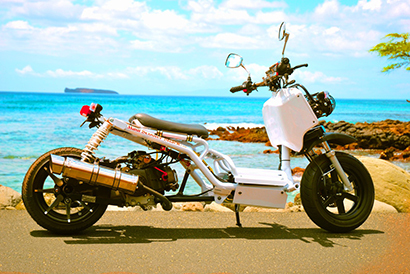 You will not be able to get your moped registered along with no warranty. 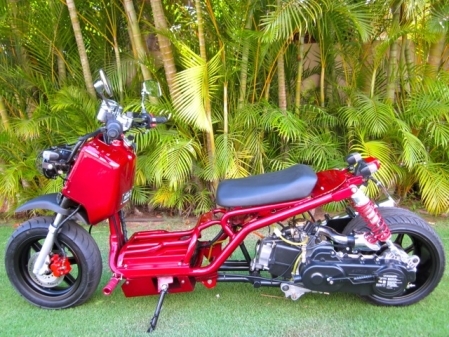 The Pit Bull Moped is Factory built and has a custom look that comes equipped with a 49cc GY6 long case engine. 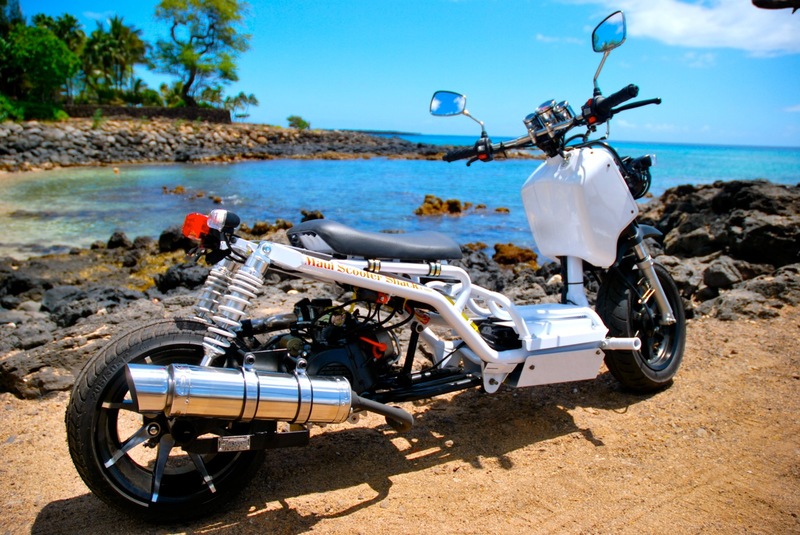 No motorcycle license required, no insurance, or yearly registration. 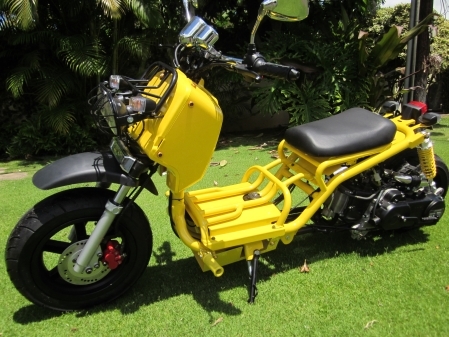 Equipped with lower seat brackets, adjustable dual suspension, a wide 12″ x 8″ rear wheel and a 9″ extension kit. 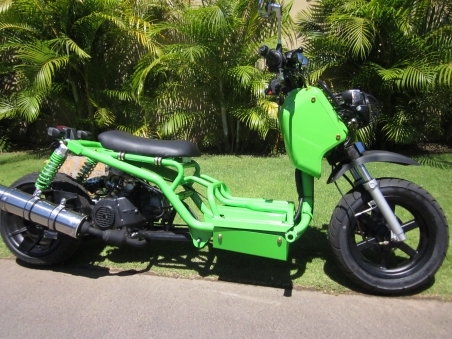 Front Disc brake, Low profile drag handle bars and upgraded exhaust. 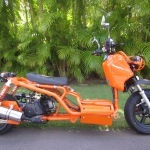 Upgraded CDI and coil. 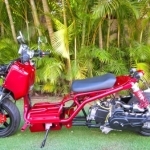 NKG Spark Plug. 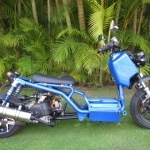 Get 70-100MPG while looking so fresh! 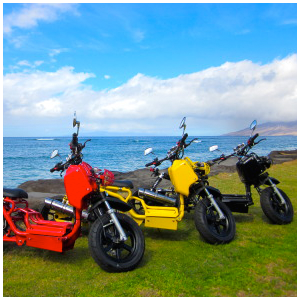 Price Includes Hawaii sales tax, Hawaii registration & Hawaii safety Financing is available! 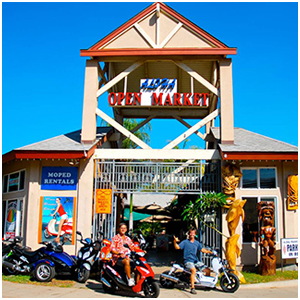 We Have Parts & Service! 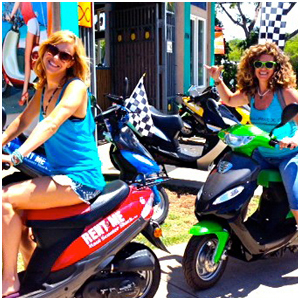 No Motorcycle License required on 49cc Scooters! 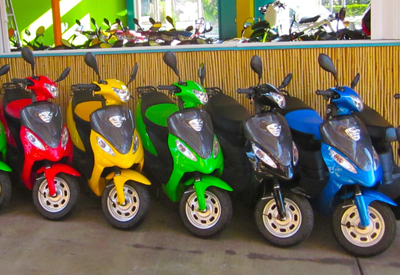 We Buy Used Scooters & Mopeds!